Secrets of Great Color: Set Your Camera To Bland! One of the secrets to great color is to set you camera to bland. That might sound odd, but it is what you do to end up with great color. Your images will thank you. Dawn, Hallett Peak and Flattop Mountain. Before and After ACR. 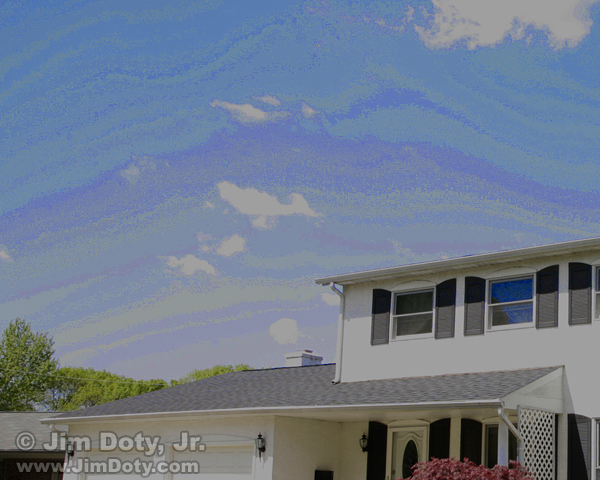 Most digital cameras give you several options for interpreting your images from pretty bland to over-the-top color, saturation, and contrast. In their search for bolder images, a lot of new photographers pick bolder looking images right out of the camera. Counter-intuitive as it may seem, that is not the way to really great color. The problem with choosing bold photos out of the camera, if you are shooting JPEG files, is you have baked in the changes to the images and you can’t go back and unbake them later. Like an over-baked cake, you can’t put them back into the oven and unbake them. You can try and fix them in image editing software, but it won’t work. You are stuck. If you are shooting RAW files (and you should be), you are jazzing up how your raw file converter interprets your RAW images. That messes with your color perception. From a color point of view it is harder to dial down an over-the-top interpretation of an image (giving you the sense your image is getting more bland) than it is to dial up a more subdued image. 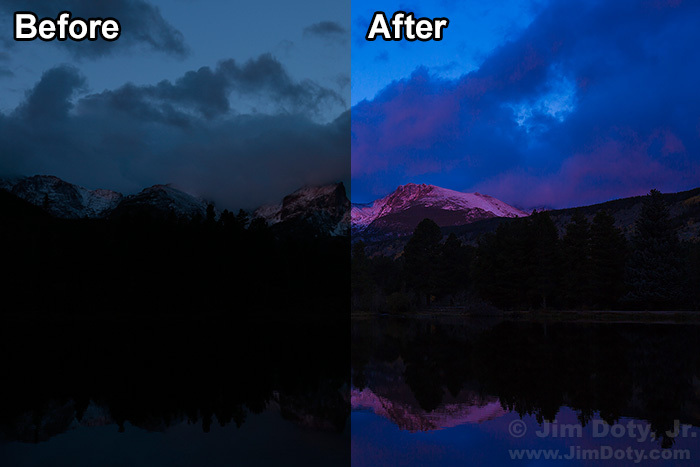 It is better to start with a more subdued image and jazz it up later in Adobe Camera Raw. You will end up with a better color interpretation. It all comes down to a simple camera setting that you can set once and forget it. The place to go in Canon’s menu system is Picture Styles. Other manufacturers use different names. Nikon calls it Picture Control and Sony uses Creative Style. Find the right place in you camera’s menu. Each choice gives you a preset group of options for Sharpness, Contrast, Saturation, and Color tone. 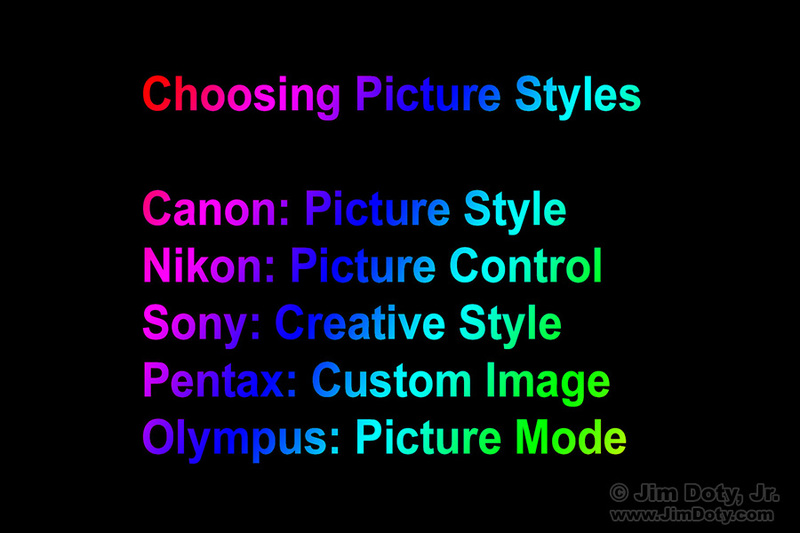 Here are some of Canon’s Picture Style options. Any place you see a number other than 0, that setting is jazzed up. The higher the number, the more jazzed up it is. The only two options Canon gives you that don’t juice up the settings are Neutral and Faithful. If you shoot Canon, I recommend you use one of these two settings. Neutral and Faithful Picture Styles. This is what Canon says about these two settings. Both of these settings are for people “who prefer to process images with their computer.” I happen to prefer Faithful. Note the line I emphasized. “Images will appear dull and subdued.” That’s what you want out of your camera, dull and subdued images. If you are using another brand of camera, pick a dull and subdued setting, one that doesn’t jazz up the image. So what do you do with your bland, out of the camera, images? The magic comes when you process the images with Adobe Camera Raw (ACR), or whatever RAW image converter you prefer. There is an example in the first link below, and more examples at the other links. And it won’t take you a lot of time, usually one or two minutes per photo. Are your best photos worth two minutes of your time? In prior articles (links below) I cover two of the secrets to great color: shoot RAW files and process them with ACR. 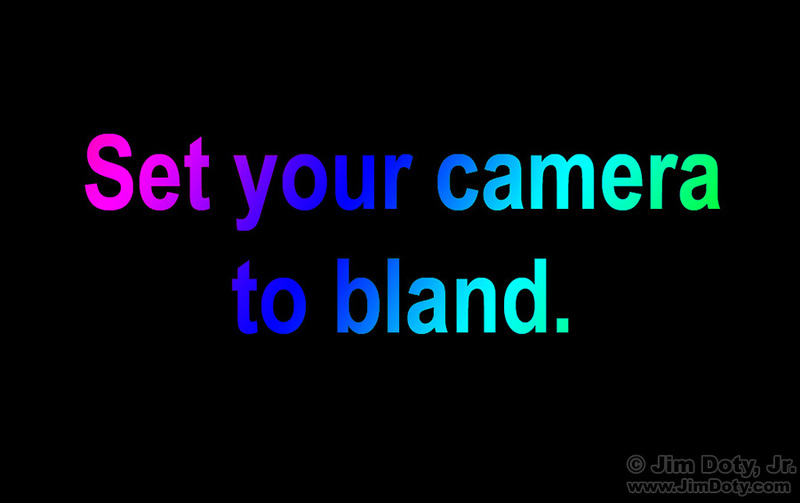 Now you can add a third secret, set your camera to bland. This entry was posted in Computing and Software, General, Using Equipment by Jim. Bookmark the permalink.